The 2017 report assesses 144 economies on how well they utilize the female workforce in their country based on economic, educational, health-based, and political indicators. 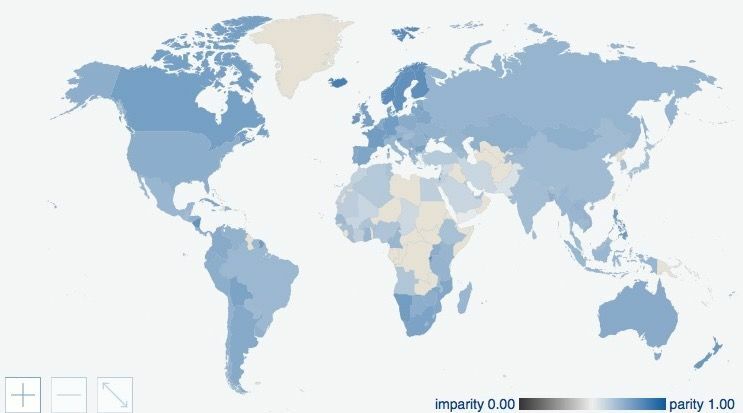 The report can be used as an objective analysis of women’s quality of life compared to male peers, and to thereby rank the world’s best countries for women in terms of gender equality. To produce the Index, the World Economic Forum analyzes more than a dozen data sets including those produced by World Economic Forum, UNESCO Institute of Statistics, and the OECD. 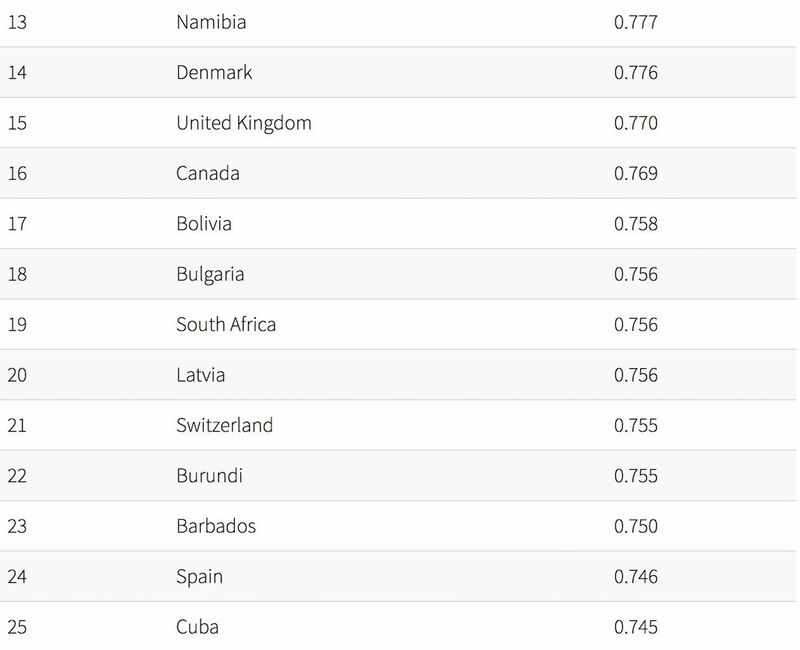 The rankings are compiled by calculating gender-based gaps in accessing resources such as education, healthcare, and opportunities to participate in political and economic processes. 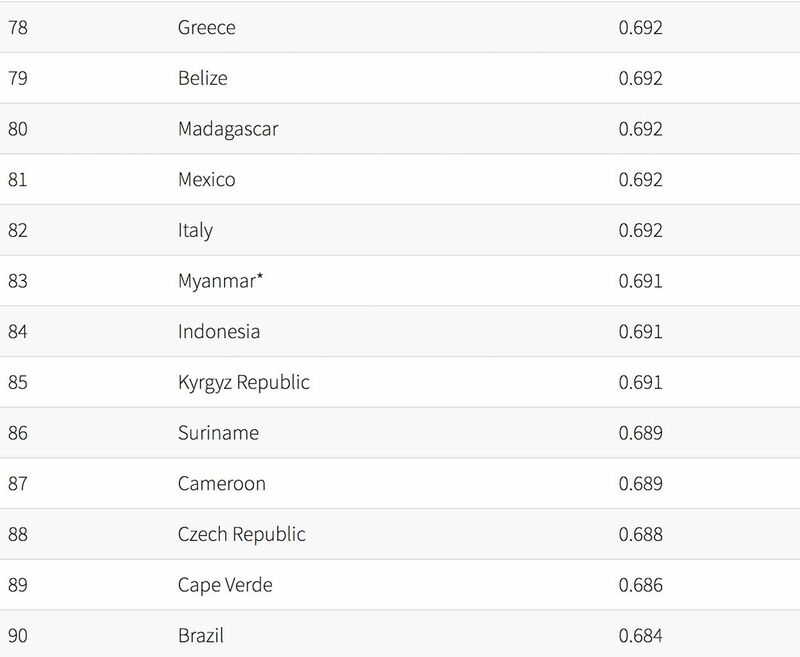 Assessing the gender gap enables the Index to compare rich and poor countries on an equal footing. It is the disparity between genders that is being measured rather than the baseline quality of living. 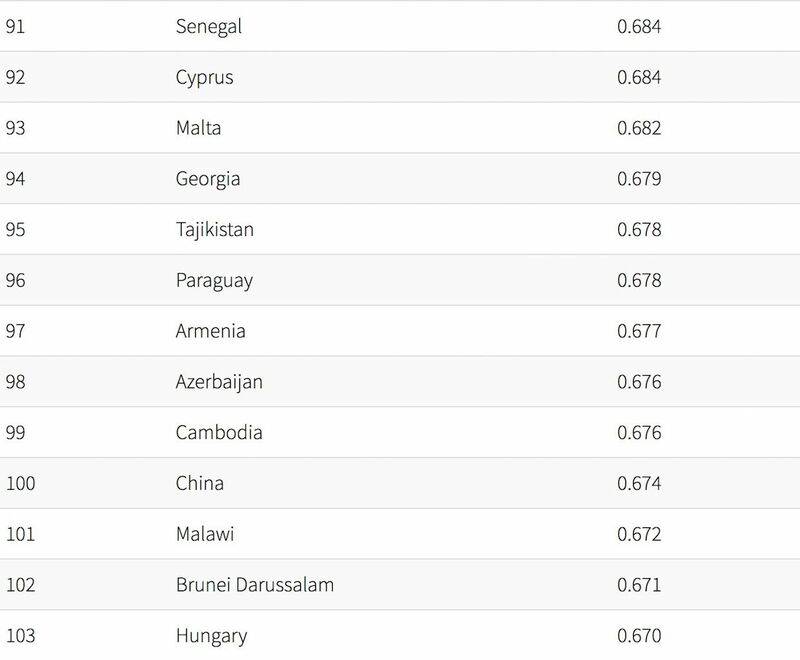 This creates a ranking of the best countries for women according to the gap between genders. 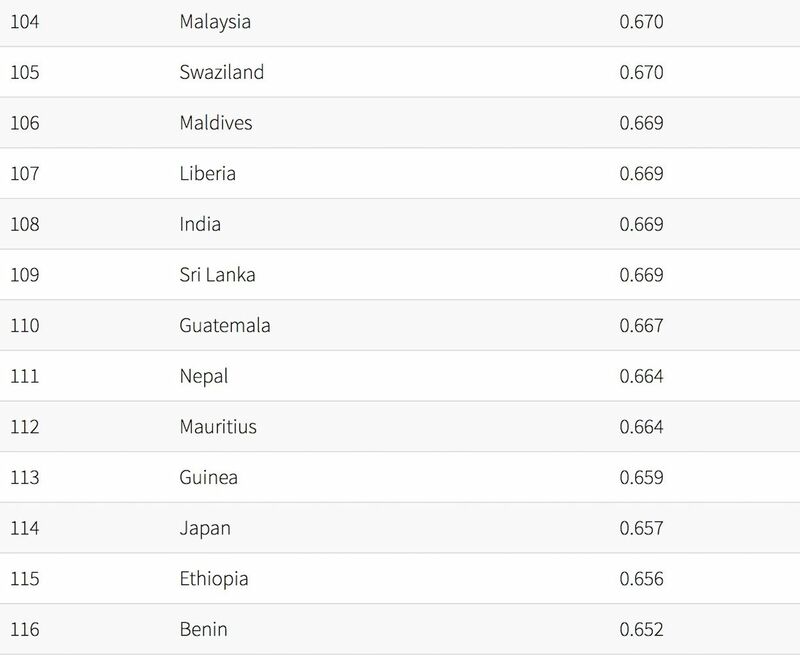 Out of the 142 countries covered by the Index both this year and last year, 82 countries have improved their overall gender gap score compared to last year, while 60 have seen it decrease. The Nordic states are consistently the best countries for women and have been so since the report was first produced in 2006. 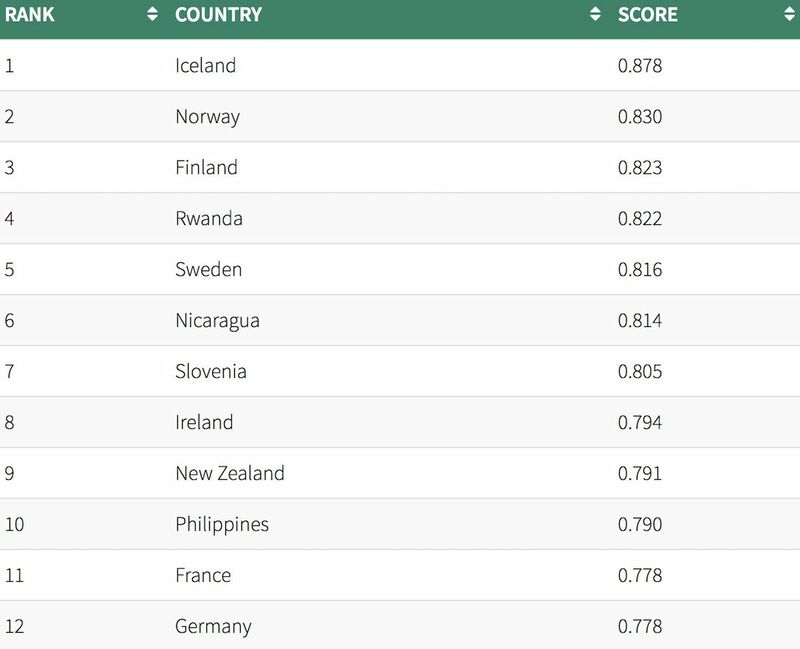 Iceland (1) holds the top spot for the ninth year in a row. Norway (2) overtakes Finland and regains second place, while Finland (3) returns to its 2015 third-place position. 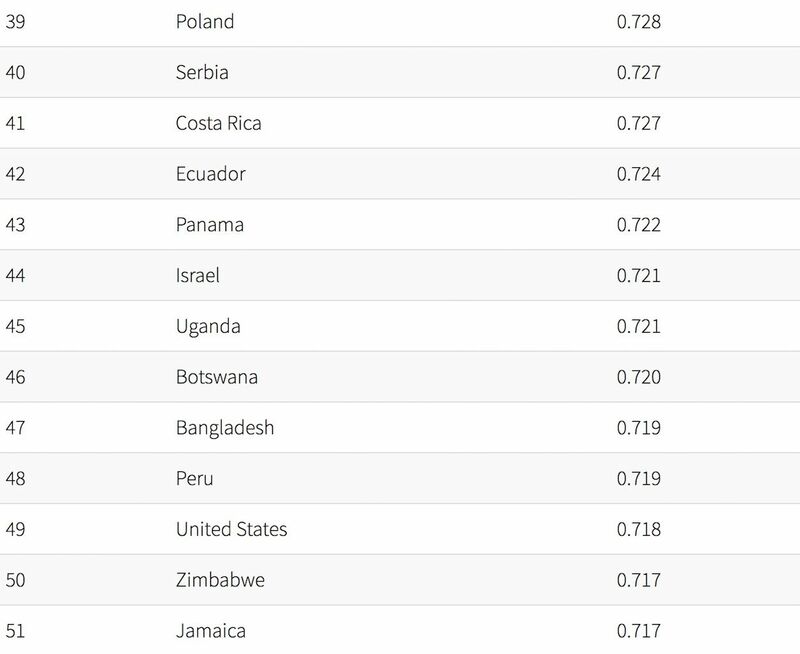 Rwanda (4) continues its steady climb since first entering the Index and has now pushed Sweden into fifth. 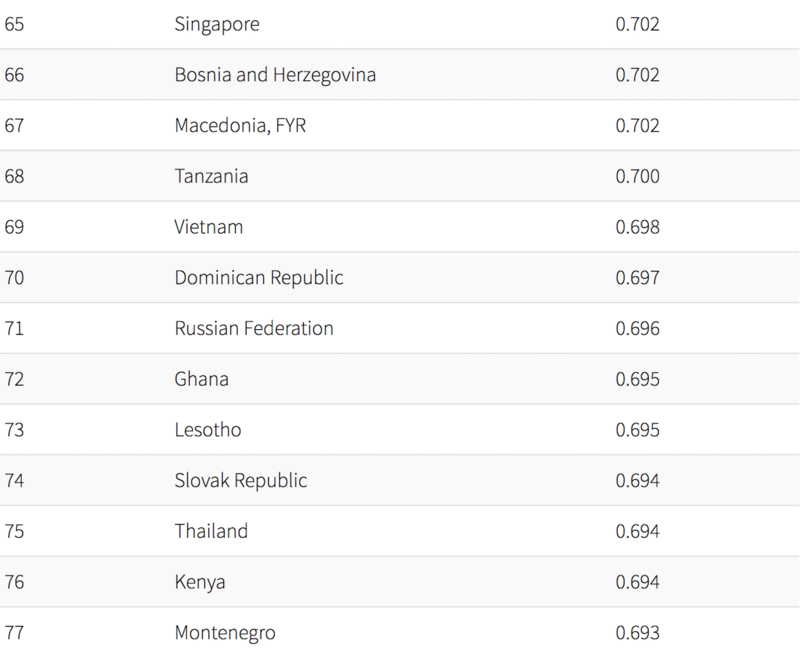 Rwanda is notably the country with the highest share of female parliamentarians in the world at 61%. 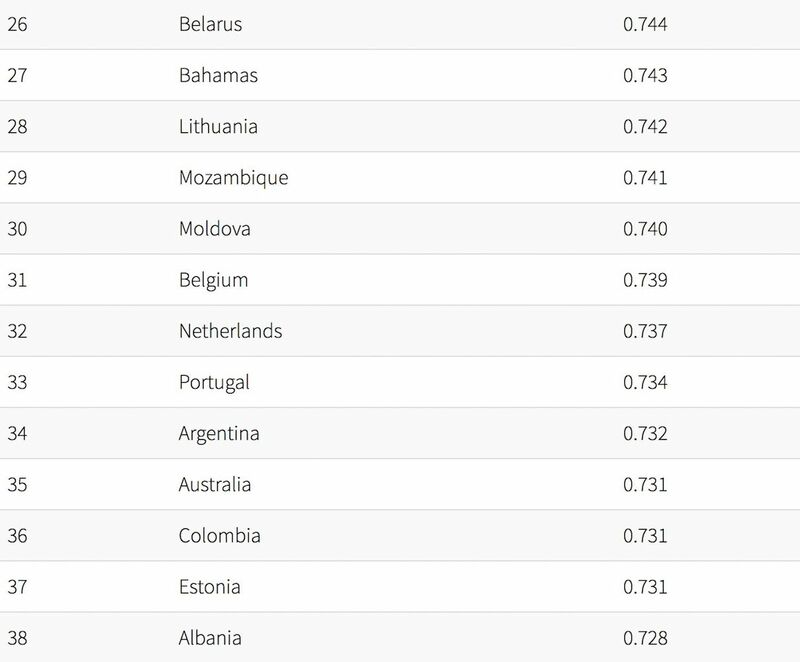 Denmark (14) and the United Kingdom (15) both climb several ranks from their position last year. 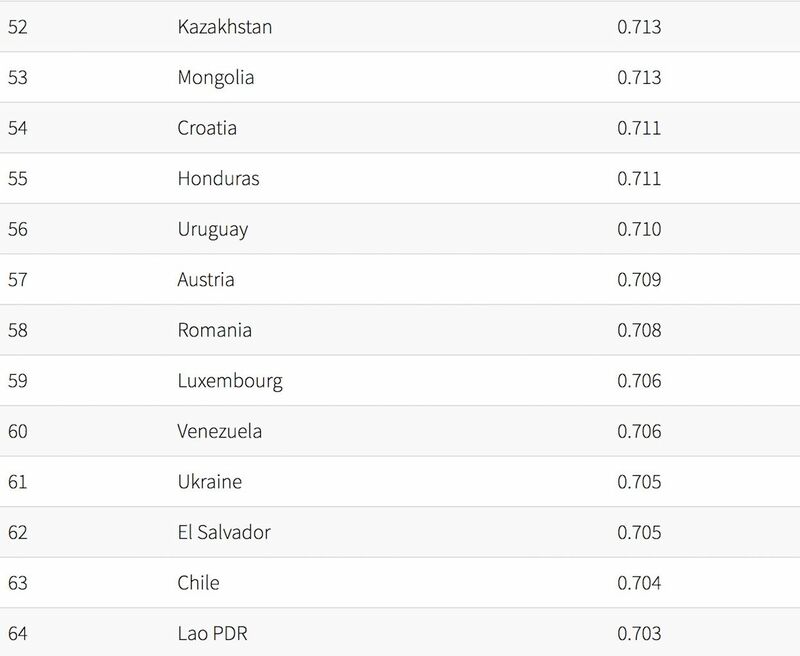 The United States (49) has moved down four spots compared to 2016. 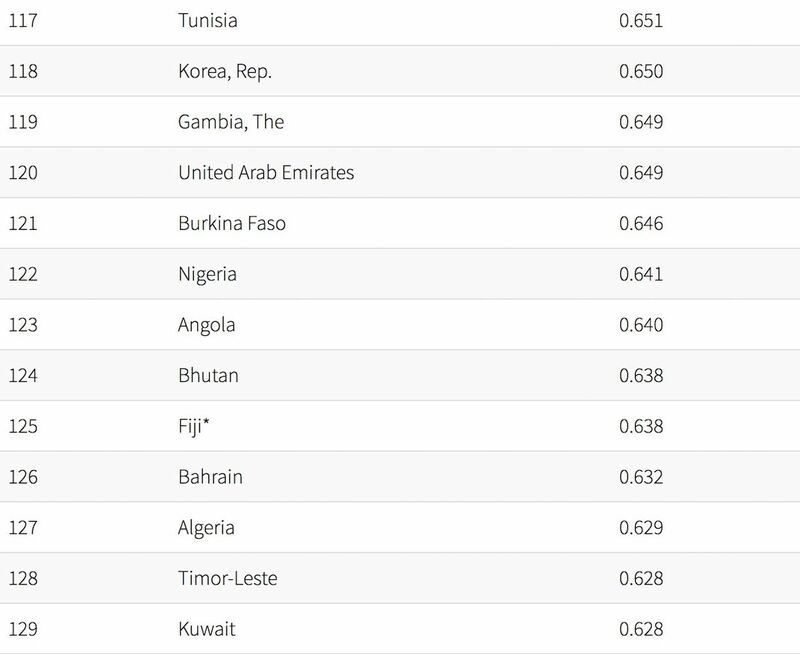 The worst country for gender parity is, as last year, Yemen (144). 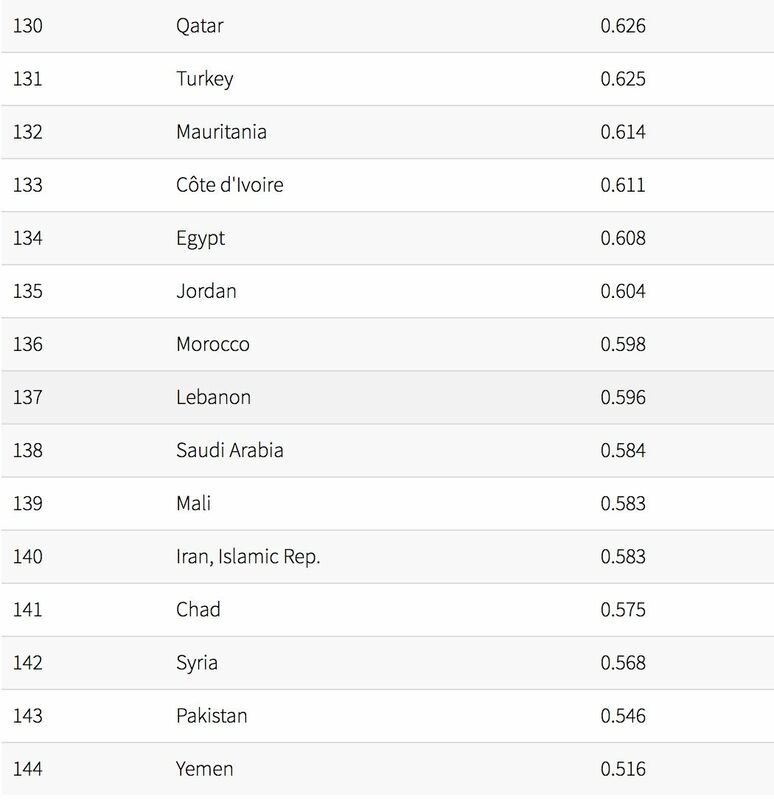 Making up the rest of the bottom five are Pakistan (143), Syria (142), Chad (141), and Iran (140).